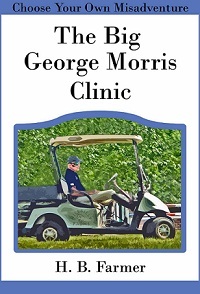 This choose your own misadventure book presents you with the once in a lifetime opportunity to attend a clinic with the infamous George Morris. "The Big George Morris Clinic" is a chance to learn from the best and experience what it feels like to get yelled at by a legend. What will happen when George Morris comes to town? YOU decide! "I laughed until I cried." 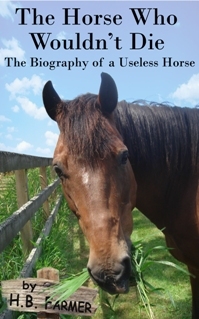 This is the true story of a horse who defied the odds and inspired a nation...wait, wait...that's the wrong story, the wrong horse. This is the story of a different kind of horse. This is the story of a failed showjumper, turned failed show hunter, turned failed school horse, who eventually found his calling as a pasture ornament. For more information about the real Horse Who Wouldn't Die, check out Peter's webpage, where you will find more photos and an in-depth interview. 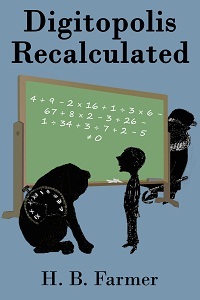 This short story is based on characters from the classic children's book The Phantom Tollbooth by Norton Juster. If you've never read The Phantom Tollbooth, drop what you are doing and read it immediately. Then join Milo, Tock, and the Humbug on their new adventures in Digitopolis. Hillbilly Press hopes to offer more fantastic titles soon. While you wait, peruse our Book Reviews and Recommendations section for books that we didn't write, but wish we had.